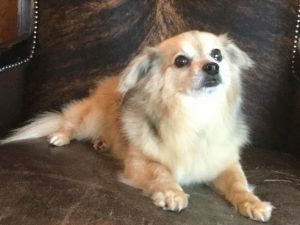 Rocky – Senior Chihuahua found a fanastic home in Colorado. Rehoming Time: 7 days. When you place your pet for rehoming with Pet Rehoming Network, rest assured that we will do everything we possibly can to find the very best home for your pet within a reasonable amount of time. We are often asked to go through the process of rehoming a pet with owners who are considering using our services to find a home for their pet or pets. The following outlines the step by step process we follow. We are a pet rehoming service, so unlike a rescue or shelter, your pets stay with you until a good home is selected – and you get to make the decision about with whom your pets are placed. We do not have a facility which houses pets for rehoming, and we are not able to provide instant placement of your dog or cat. If you have an urgent need to rehome your pet, then a shelter or rescue is the best option for you. We are often able to find homes within a few days or weeks, but this is not something we can guarantee. 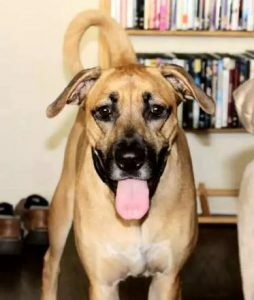 Abby – Bloodhound Lab Mix – Found an amazing home in Pasadena, CA. Rehoming Time Frame: 5 Days. We sometimes hear from people in locations farther away, and it is up to you whether you want to consider these applicants. We find it is best to consider each applicant based on the merits of the quality of the home they can provide. Sometimes a home that is farther away is actually a better choice. We will guide you in making a choice, if desired. 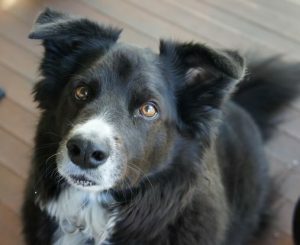 Sidney – Border Collie Mix – Found the most loving home on earth in Seattle WA. Rehoming Time Frame: 10 Days. In your pets’ advertising, you remain anonymous. All calls and inquiries are directed to us, and will be handled by our staff. We will pre-screen potential adopters before sending anyone your way. We endeavor to provide you with a short list of the best qualified potential adopters, to make the process easier for you. We know how emotionally difficult rehoming your beloved pet is for you, and want to spare you the trauma of having to deal with people who are unsuitable. Once received, the application is screened, and we check their references. In the US, we are able to do a background check to ensure that there is no criminal record or history of animal abuse or neglect. In Canada, we cannot perform a background check as we can in the US, but we try to be very thorough in searching for information about candidates. We also do our best to perform our own background check by searching through social media accounts and 6 pages deep on Google. 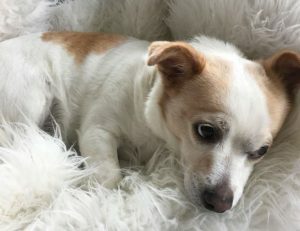 Cozy – Chihuahua JRT Mix – Found Loving Family in Woodland Hills, CA – Rehoming Time Frame: 23 Days. Once they have passed our scrutiny, we will send you the prescreened applicants’ application form, and ask that you reach out to them to arrange a meet up. We recommend that with cats, the meet-up take place at your home. This is because cats tend to become very skittish when removed from their familiar surroundings. 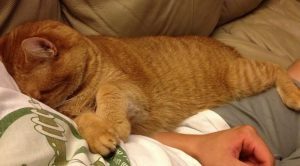 You want the potential adopter to see their behavior as close to normal as possible, so the cats’ familiar environment is usually best to accomplish this. The meeting is a chance to determine whether you feel comfortable with placing your pet with the potential adopter, and also for the potential adopter to meet your pet and determine for certain that they wish to adopt. If both parties are keen on proceeding with an adoption, we will ask the adopter to complete our online adoption agreement, and pay a small adoption processing fee (which provides us with the ability to offer our rehoming guarantee and follow up services). Rehoming Time Frame: 3 Days. Once the adoption agreement is signed, you can go ahead and place your pet with the new owners. We recommend that you allow a day or two between the decision to adopt and the transitioning of your pet into their new home. This gives the adoptive owner time to consider their decision and helps ensure that they are truly committed to providing your pet’s forever home. It is important that the new owners be ready, willing and able to provide your pet with a forever home. 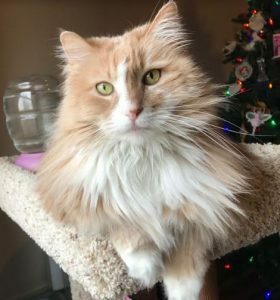 Taylor – Purebred Siberian Cat (Senior) With Litter Box Issues in Brooklyn NY. Found a wonderful home in Connecticut. Rehoming Time Frame: 47 Days. When you bring the pet to their new home, you will have the opportunity to do a home check and just make sure that the home is pet-friendly. You want to make sure the front door does not open up to a busy street, that the home is relatively clean and tidy, and that there are not people or pets in the home that were not mentioned in the application. You also want to check to make sure that if the applicant stated they have a securely fenced back yard, that they do, and the that the yard is clean, secure and free of anything that would pose a danger to your dog. It is often a good idea to request that the new owners refrain from inviting family and friends over until your pet has been given adequate time to adjust to their new home. Every pet is different, so there is no exact time frame for this. The new owner will know when the time comes and your pet begins to interact normally and adjusts to their new home, humans and routine. Once you have placed your pets in the care of their new owners, just let us know, so that we can schedule follow-up calls with the new owner. Our staff will keep in touch with the new owners for the first year to ensure your pets’ well-being and whereabouts. We also offer advice and support, particularly if the new owners are new to pet ownership. Rehoming Time Frame: 26 Days. We guarantee your pets’ placement. If for any reason within the first year, the new owners are unable to continue to provide a home to your pets, we will rehome them once again at no cost to you. We expect the new owners to keep the pets safe, happy and healthy until a suitable new home can be lopeted. (This is something that they agree to in our Adoption Agreement). How Long Does Rehoming a Pet Usually Take? 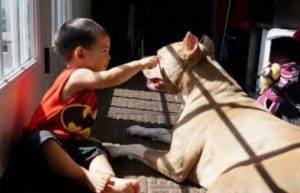 Ocean – Purebred Pitbull – Both Ocean and his brother, Blue, found a very loving home in Maryland. As for the average time frame, in many instances. we are able to place pets within a week to a month. This is not always the case, and in major centers such as Los Angeles, Houston and San Francisco, finding a good home for pets can take longer. We feel this is because larger centers have a very large number of dogs and cats in shelters and rescues competing for homes. We do our very best to help your pet shine through our compelling adoption story and video, to attract potential adopters and tug at their heart strings. Your pet’s breed, appearance, personality, behavior, hair length, color, age and health status will affect the time frame. Purebred or purebred mix pets are always easier to rehome than domestic pets. Long hair cats generally find homes faster than domestic shorthair cats. Younger pets often find homes sooner than older pets. Black pets are often difficult to rehome due to silly superstition among many potential adopters. We do have a partial refund policy. If, after 60 days, we have not been able to successfully find the right home for your pets, you are entitled to a 40% refund of the fees paid (less any transaction fees that we have been charged). It is unlikely that the rehoming project will take that long, but we offer this guarantee to be fair to our clients. 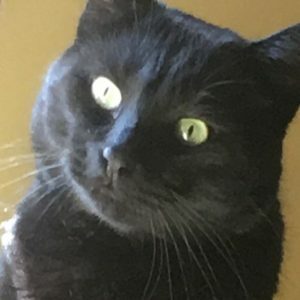 You also would have the option of having us continue to search and advertise past the 60 day mark, for as long as it takes to locate a good home for your pet, but at that point we would withdraw the 60 day refund offer since we would incur ongoing advertising expenses on behalf of your pets. Where Will My Pet Be Advertised? We use many methods to attract your pet’s new owners. We ask you to provide us with a number of nice photos of your pet, and also a couple of short video clips. Your pet’s adoption story page and photos are shared on Facebook, Twitter, Google Plus, Reddit, StumbleUpon, Pinterest, Instagram and Linked In. Local outreach – We contact local pet related services and business in your area to let them know about your pet and ask their help in spreading the word. Paid Social Media Campaigns: We pay Facebook and also Pinterest to show your pet’s adoption story and photos to pet lovers carefully targeted for their location and interests. This results in viral sharing of your pet’s story, which grows over time. Our staff continually update and repost these ads and social media mentions until we have found a suitable home for your pet – for as long as it takes. Your one-time fee covers this service, and we do not put a time-limit on our efforts in rehoming your pet. We keep working until your pet finds a home.